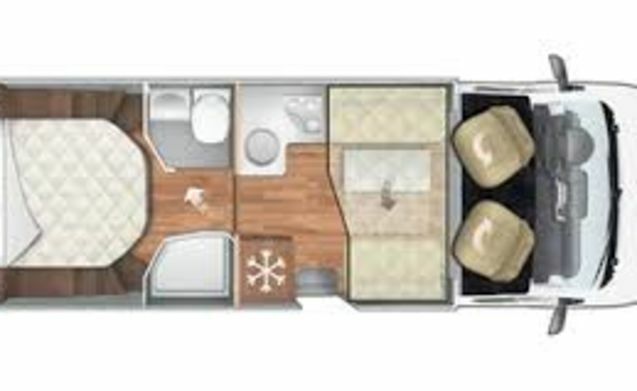 Mobilhome for 4 people with unique spacious layout. 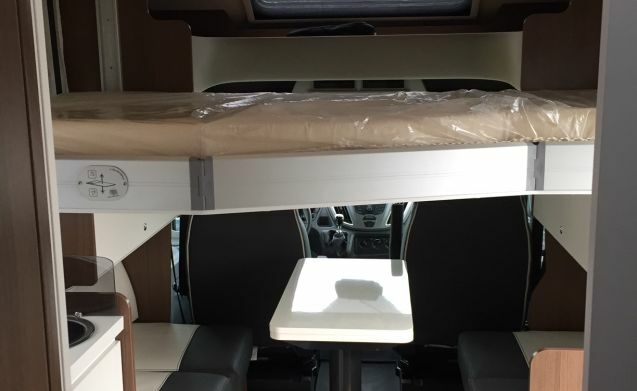 Familie Camper – Mobilhome for 4 people with unique spacious layout. 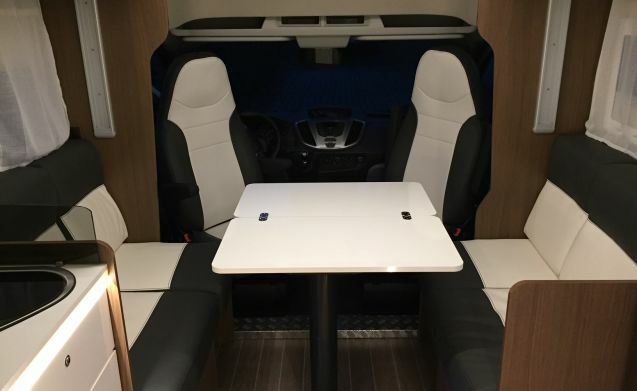 Recent 2018 and very well equipped Mobilhome. At start of advertisement, at the end of January 2019 5,100 km on the counter. 4 Approved sitting and sleeping places. Photos are provisional. There are other ones. Pick up and return Our Lady Wavre or Tremelo. Possibility to bring mobilhome if desired. Ask for possibilities. 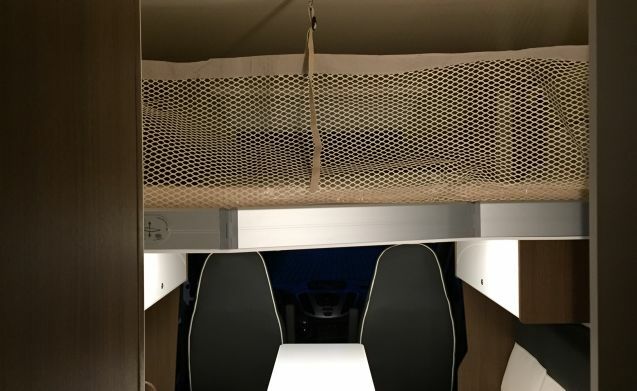 The mobile home is standard equipped with a bike carrier for up to 4 bicycles, reversing camera, GPS for mobile home, air conditioning on motor, roof fan in living area provides cooling, awning, reversing camera. TV with automatic antenna, DVD and TV Vlaanderen, working on 12V. 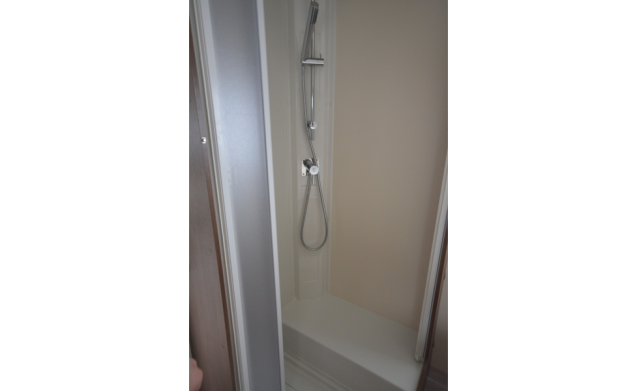 Refrigerator for large bottles that can stand upright - separate shower - separate toilet - very large garage with large entrance - front seats are rotatable for a pleasant 'living' feeling. Safety locks on all doors. Unique to the TV is that it can be turned outwards so you can watch TV outside. The living area is immediately suitable for 4 people. 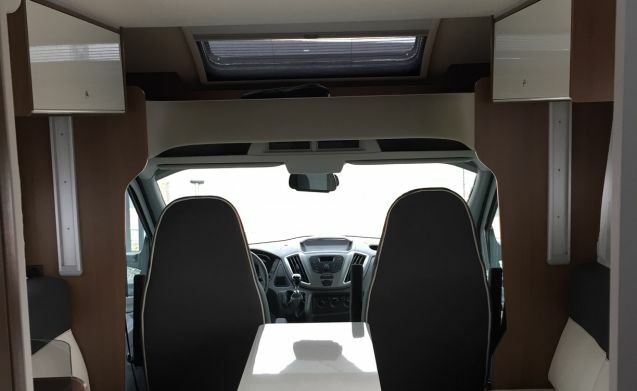 The driver and front passenger seat can be rotated to obtain a more spacious living area. 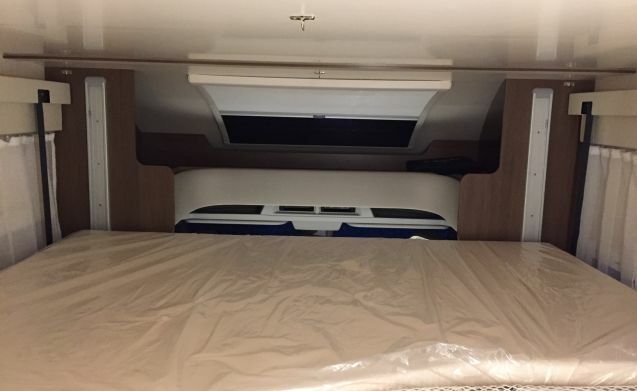 There is a 140 watt solar panel on the roof for charging the battery, which allows you to stay overnight without a 230 volt power connection. The use of large power consumers such as the kettle, coffee machine, hair dryer, etc. 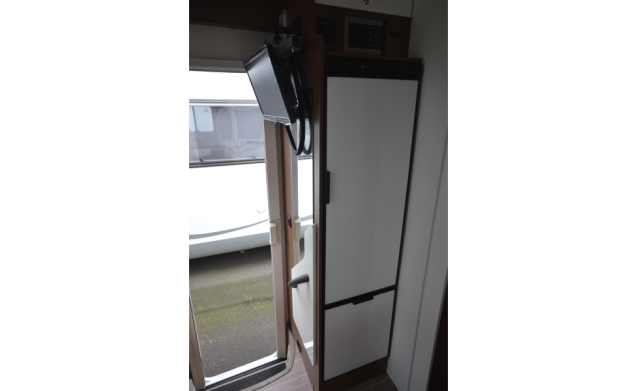 is only possible when the motorhome is connected to the mains 230 volts. Garage for storage of camping convenience and folding bikes. Suitable for couples / family with children. At the back 1 one-person bed. Above the living area another double bed drops electrically downwards (140 to 200). 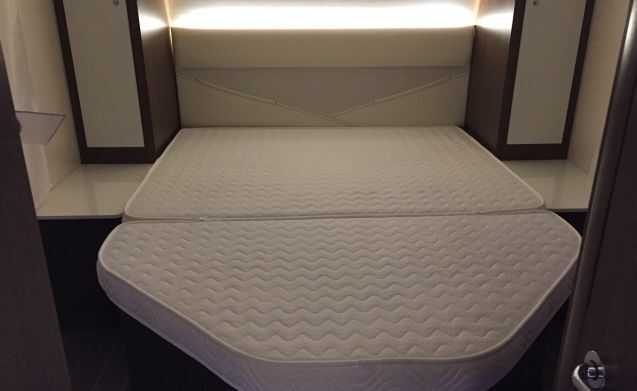 All beds have mattress protectors. Semi-integral. Lower fuel consumption compared to an alcove. - Plates, cutlery, cooking accessories, spices, pots and pans. - Table with 4 folding chairs. - 4 folding camping chairs available. Also suitable for the beach. 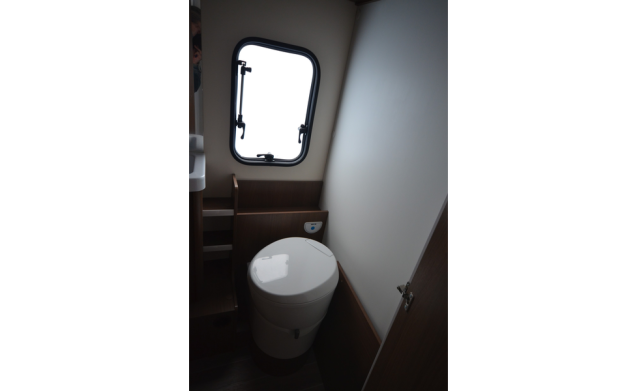 - Adapter plug for connection to the electricity network of a campsite, extra extension cable, water hose for filling water reservoir on the way, product for chemical toilet. 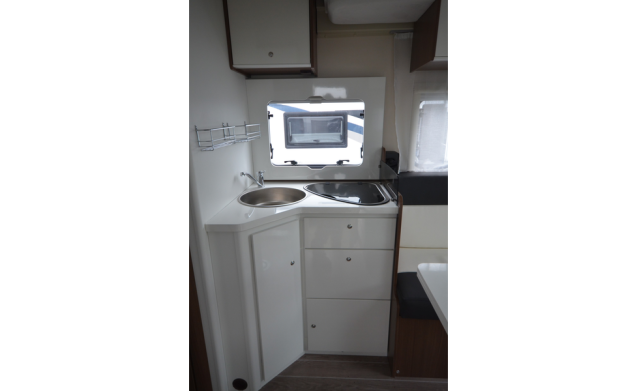 The motorhome is given with a full diesel tank and must be refueled when returning. The consumption of the gas, 1 full gas bottle, is included in the rent. A 2nd gas bottle is provided for a longer stay. 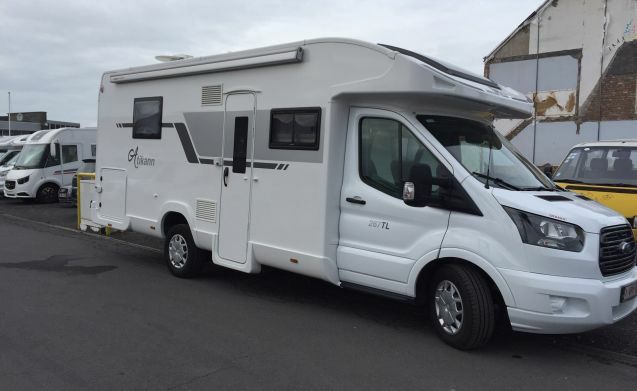 The motorhome is BA + omnium (all risk) insured. to cover the deductible we recommend to take the excess insurance. The motorhome is connected to touring roadside assistance, roadside assistance Europe, replacement transport and repatriation motorhome. Cancellation insurance and redemption guarantee can be concluded under reservation conditions. Possibility to leave car behind if desired. At own risk. 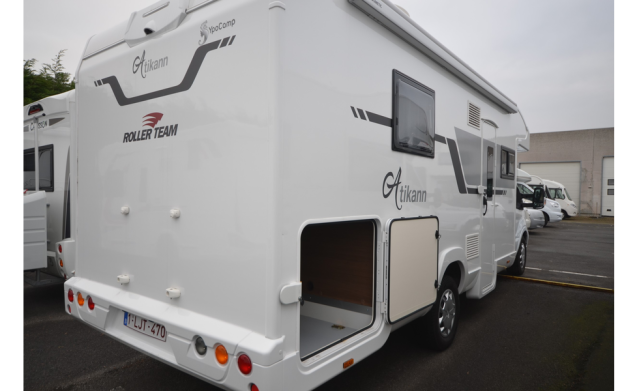 Mobil-homes with a B driving license are allowed on the track up to and including the maximum weight of 3,500 kg. Our mobile home weighs 3,150 kg. Tips or questions on the go, email us. Special wishes or additional questions? Send a message without obligation. 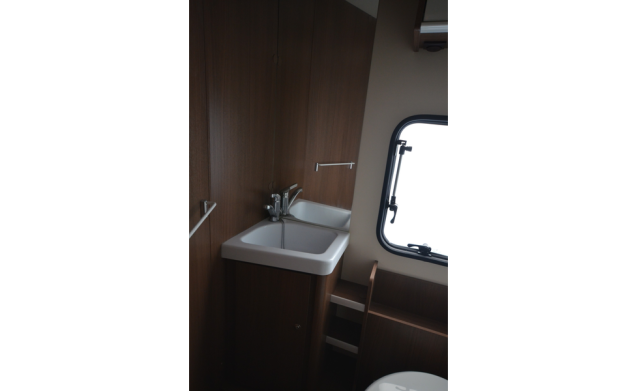 We are careful with our motorhome and assume that you are too. 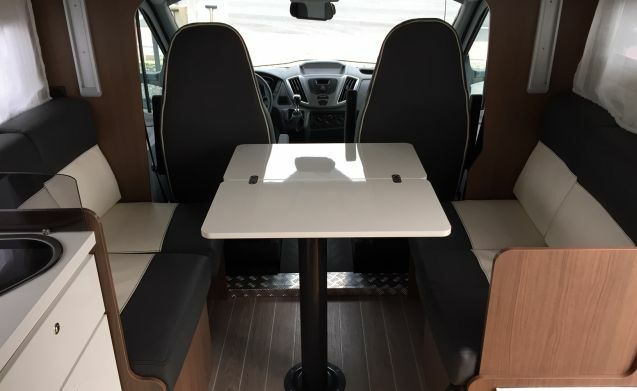 In this way, everyone can enjoy the freedom that our motorhome will offer you to spend the night at beautiful locations where you would never be able to reach a motorhome. The mobile home is delivered polished. Both in and outside. With a full diesel tank unless otherwise requested. We expect it back in the same condition as delivered. With half diesel tank! Interior polish the customer himself. We do exterior. 50 euros. Frying, smoking and pets are not allowed. For week reservations, the pick-up days are in principle Friday afternoon from 3 pm. Refund on Friday before 11 am. This can be deviated from if availability and agreement owner. For shorter periods can also be deviated from here according to availability and agreement owner. Eg for long weekends, midweek, short trips. Additional wishes ... questions are free. The goal is to make the customer as easy as possible. Holidays must be an experience. Extra services are negotiable if possible and possible compensation.